Urban Shelf Black Only $15.99! You are here: Home / Great Deals / Amazon Deals / Urban Shelf Black Only $15.99! This is perfect for those areas where you need a little extra storage! URBAN SHELF, a handy storage device designed to hold your essentials on a stable yet easily foldable platform – all smartly held in place w/ a mattress, sofa or futon. 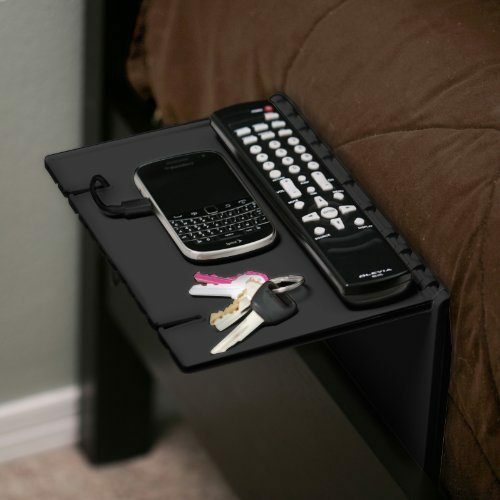 Creates the perfect spot for keeping phones, remotes, keys, small H20 bottle, eyeglasses, books & more while in bed. Get the Urban Shelf in Black for Only $15.99!